This weekend, Catherine and I visited Victoria, for the Canadian Thanksgiving holiday. The weather was not super cooperative for outdoor activities, and Catherine was working hard on her PhD NSERC proposal, but we did manage one trip out to Island View Beach to check up on the local arthropods. I also went for a stroll in Uplands Park to get some of the following shots. 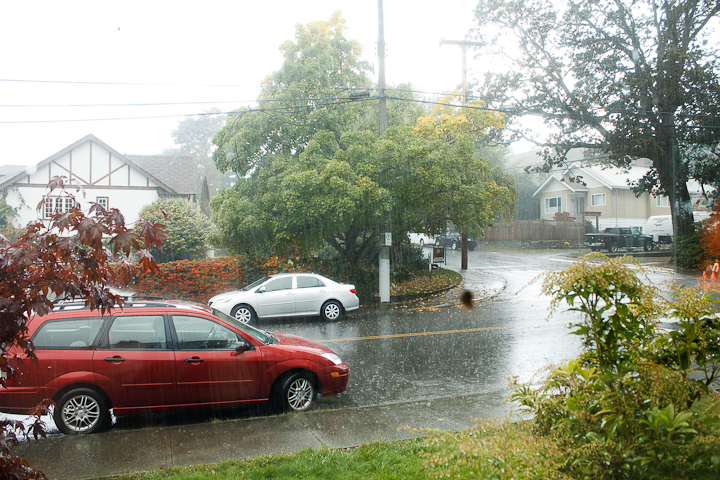 Better to be sheltered inside, or under the eaves of a house! 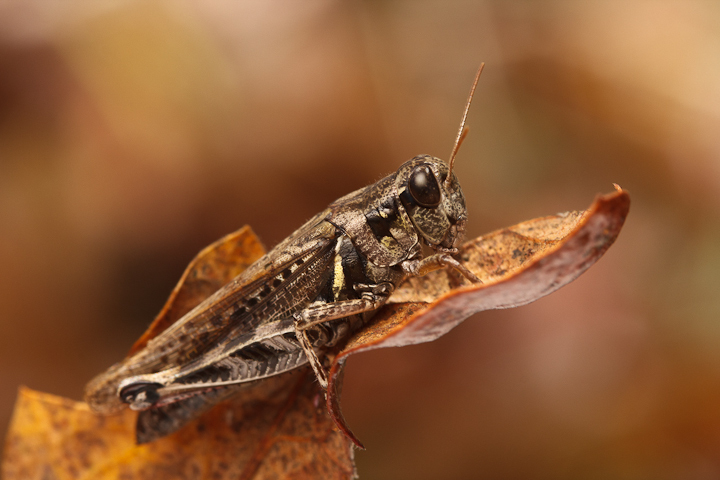 Quite a few grasshoppers were out and about. This one I shot as it was hiding on a Garry Oak leaf (you can see I was holding a white card below). A juvenile wolf spider looking odd and elegant with two very prominent eyes. 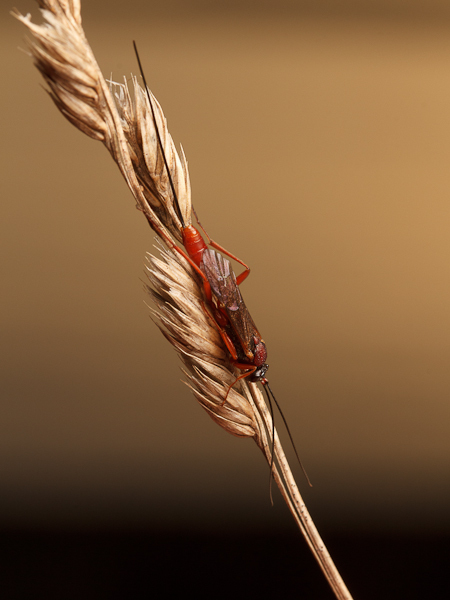 A Dysdera crocata male in Uplands Park. 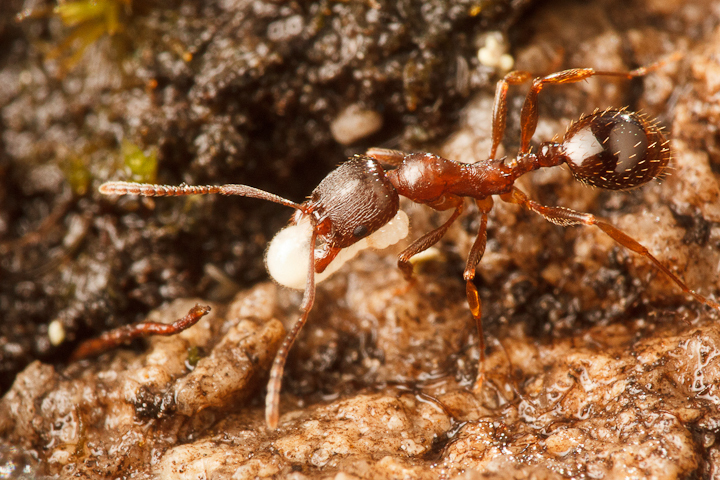 An Aphaenogaster occidentalis worker carrying brood in Uplands Park. This species does well in Garry Oak meadows. 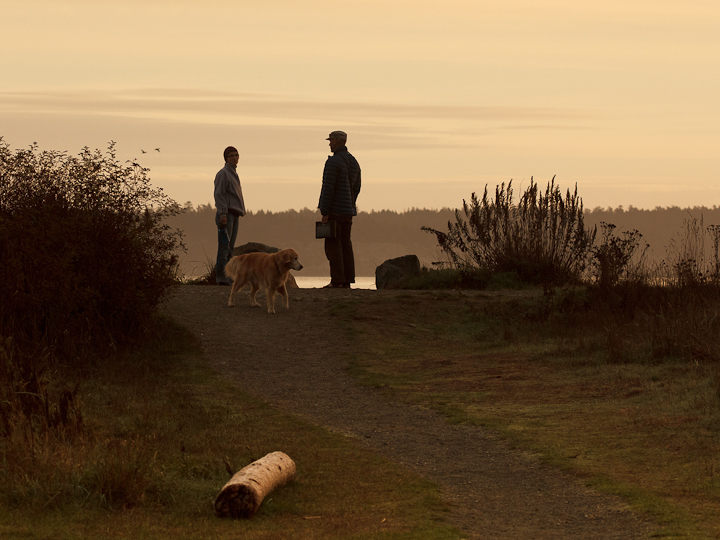 Catherine, my friend Jeff, and a borrowed golden retriever (Jackson) at Island View Beach. 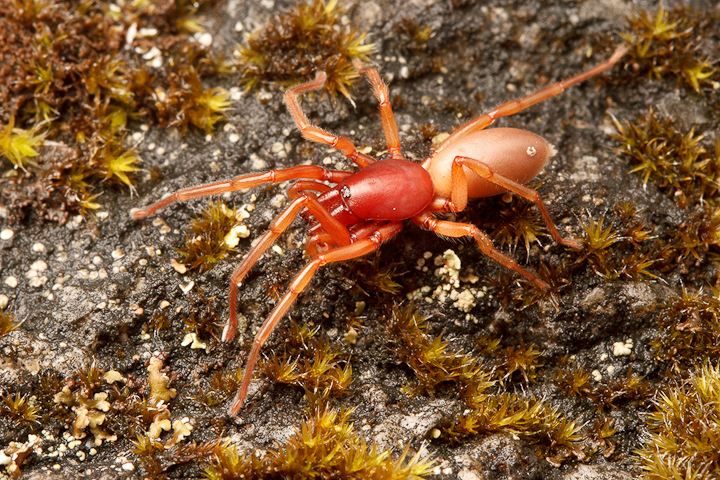 The fall selection of resting Hymenoptera was much more limited than previously, with this impressively-ovipositored ichneumonid being the only example we could find. Resting snakes were about though; this garter snake was torpid and remained in a ball rather than trying to flee when we found her under a log. 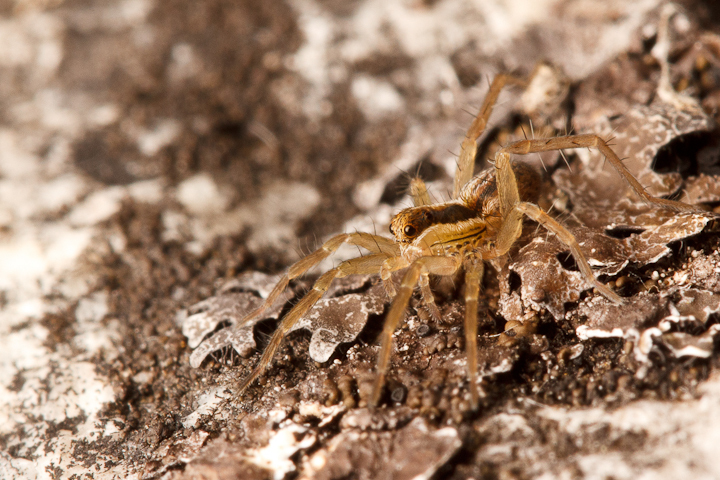 Spiders were to be found in large numbers though, this being Arachtober and all. 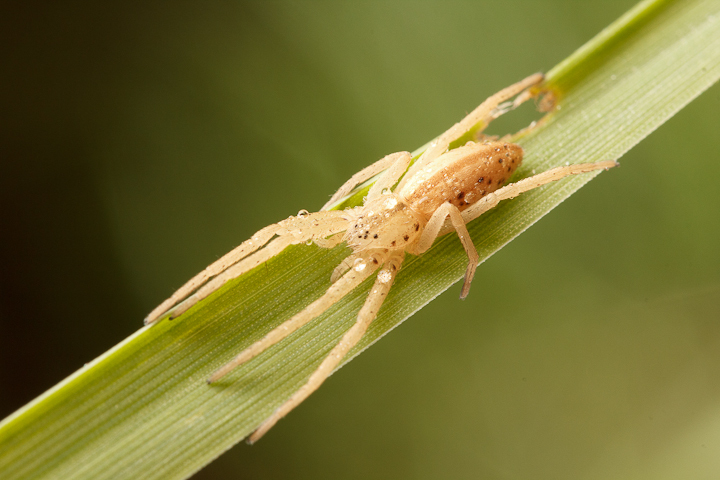 Here is a tetragnathid backlit with a bare flash. 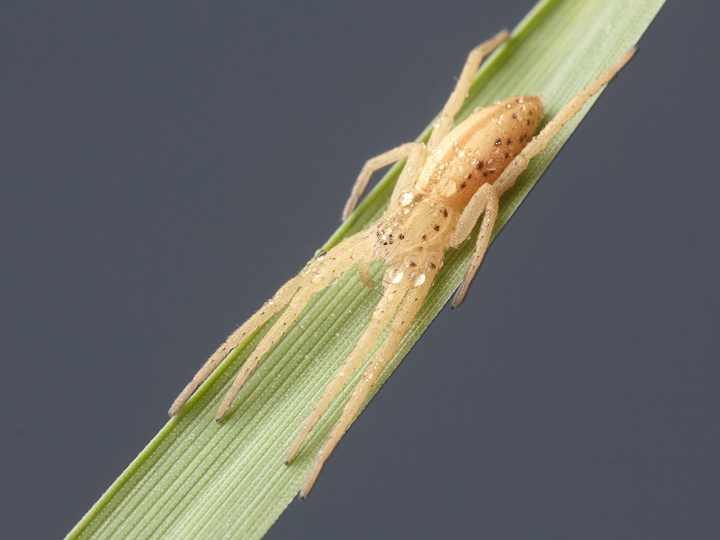 Here is a running crab spider, of the genus Tibellus; the same one appears at the top of the post. 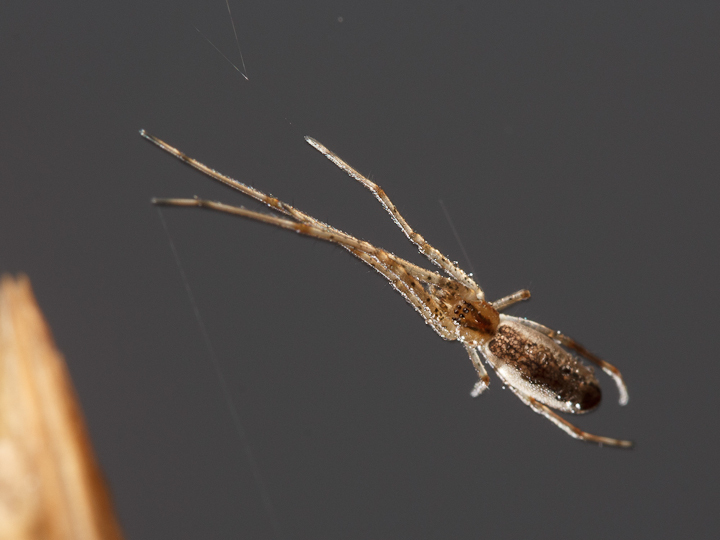 These are very elegant-looking little spiders, and make great photographic subjects. Most of the creatures we found were covered by a light dew. 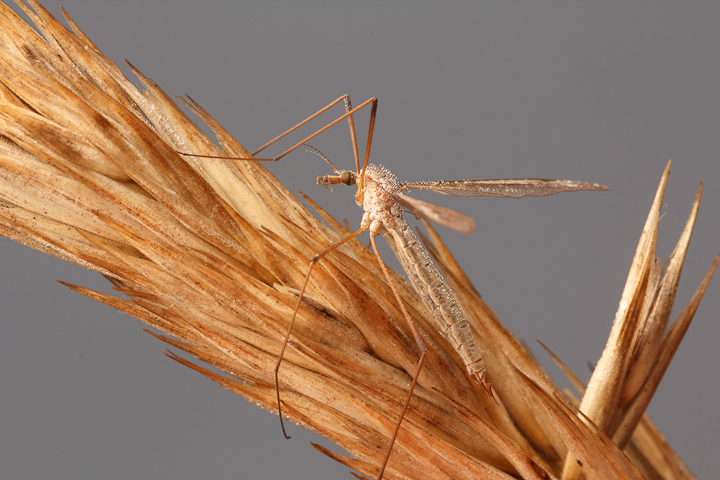 This cranefly sparkles. 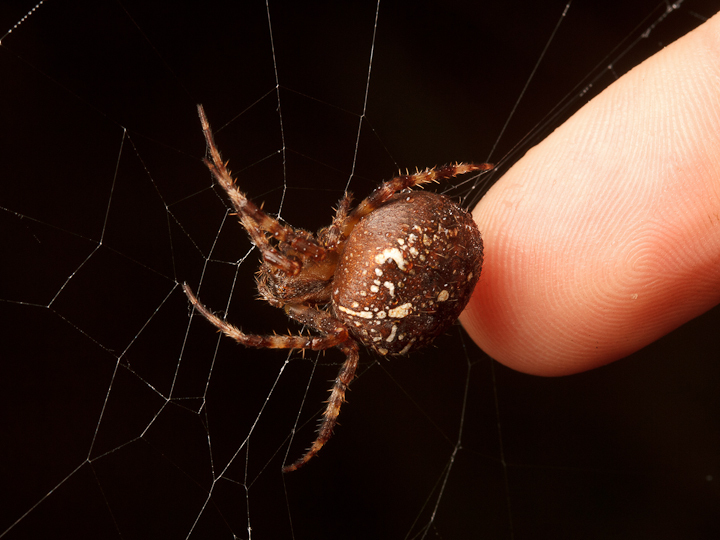 This female Araneus diadematus was particularly large. That is Catherine’s finger for scale. Speaking of large, here is a giant! 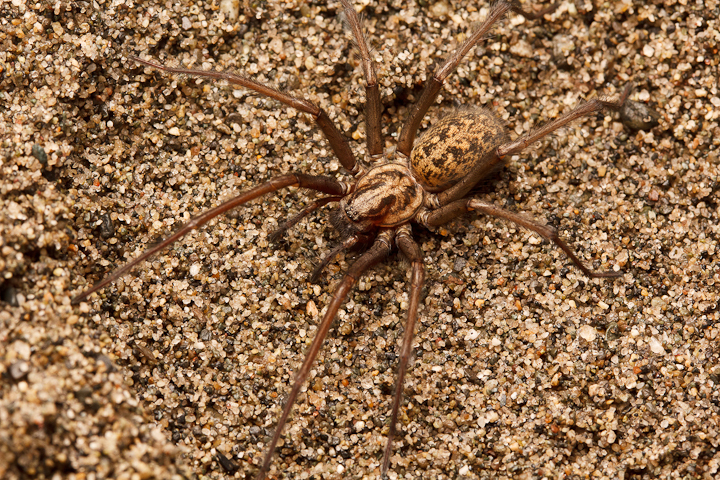 A giant house spider, formerly Tegenaria duellica, now this species is called Eratigena atrica. 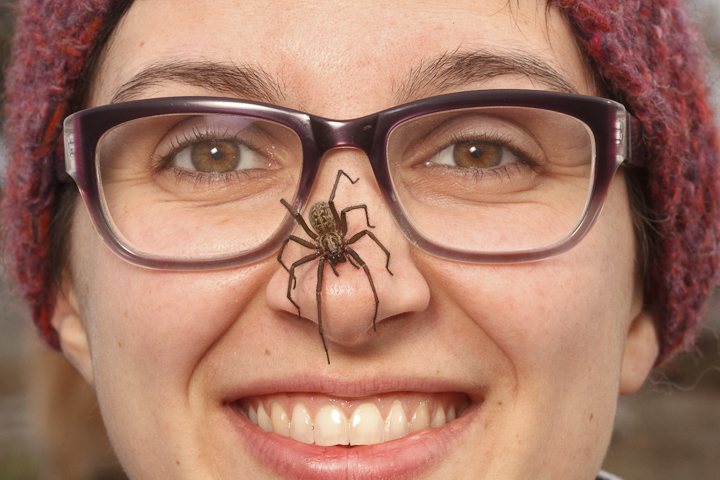 Since Catherine is scheduled to give an upcoming talk on spider bites (and how they are very unlikely) at the ESBC conference, we decided for an illustrative photo shoot. 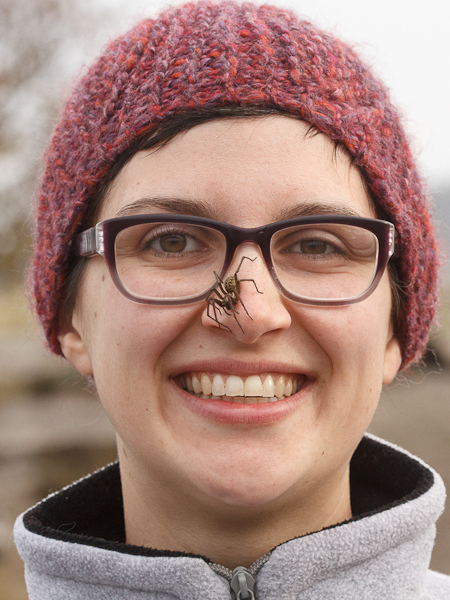 Here is the same spider sinking her fangs into resting peacefully on Catherine’s nose. Apparently, the feet tickle. Not that I would ever try this, that would be crazy. A female Castianeira we found under some old plywood. 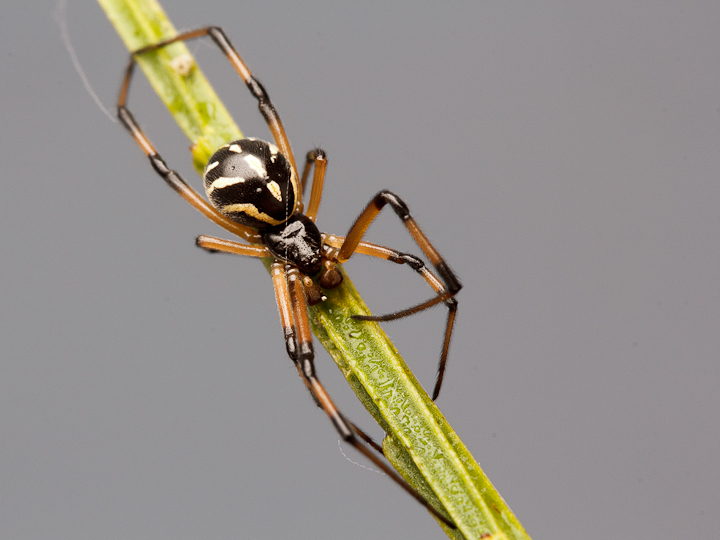 A penultimate male black widow. These ones that overwinter always seem to be more robust and darker than the juveniles that develop quickly in the summer. I would imagine this is a textbook example of phenotypic plasticity; one that deserves more careful study. 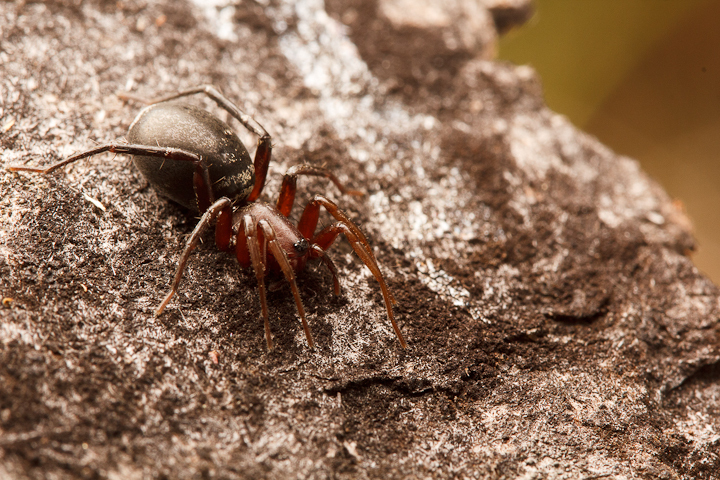 Again with an eye to Catherine’s upcoming talk, we took some shots of black widow defensive behaviour. 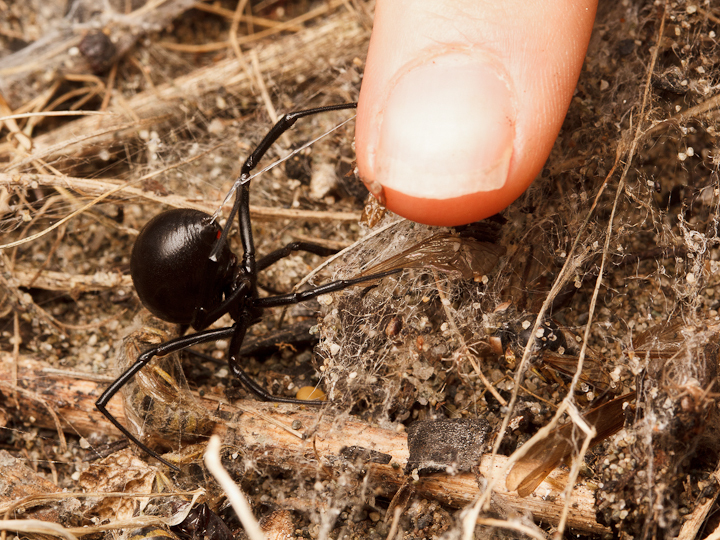 Here a female throws glue-like silk on an offending finger. This is so reliable, I might have to try this in a studio setting with some nice backlight! Last but not least, on our final morning in Victoria, we walked on Mt. 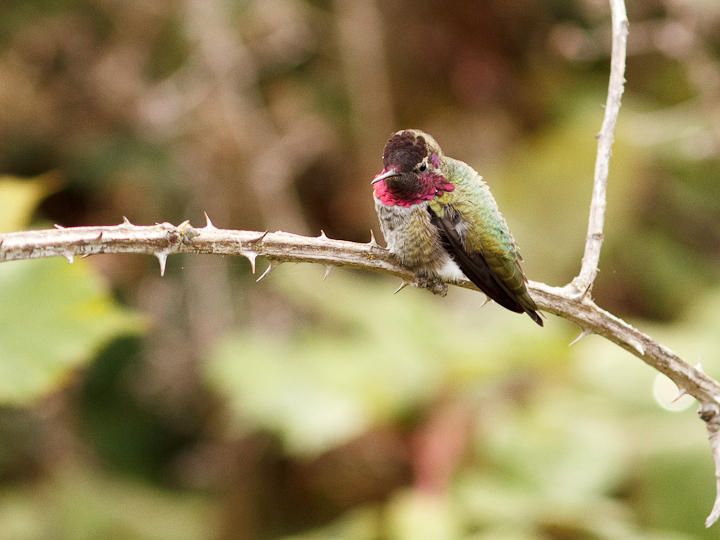 Tolmie, where we found this male Anna’s hummingbird, still defending territory. It is impressive these little birds are still nesting in the cold wet fall! 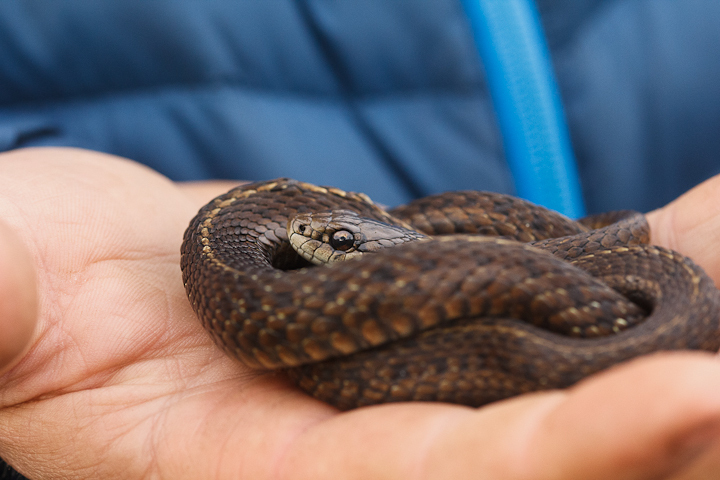 ← Arthropod sampling with the Future Science leaders! Nice series. I look forward to seeing the results of that back-lit black widow web-casting session! 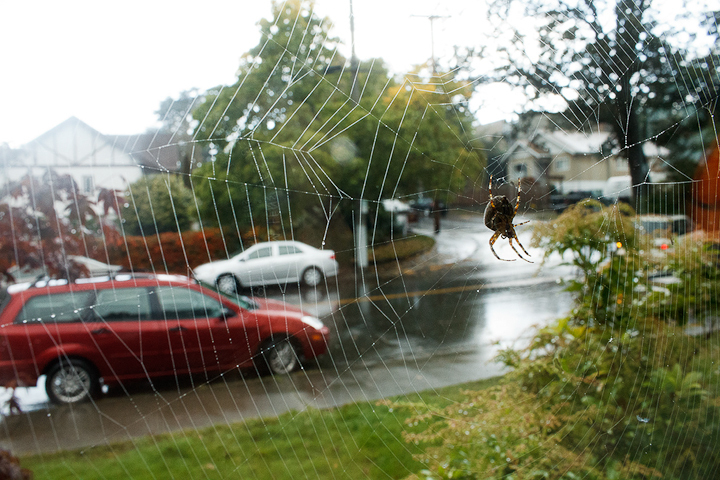 Well, we have some widows here at home, so it should be fairly easy. Keep posted! Fantastic information and pictures, Sean.